The hottest hotel technology trends are ______? 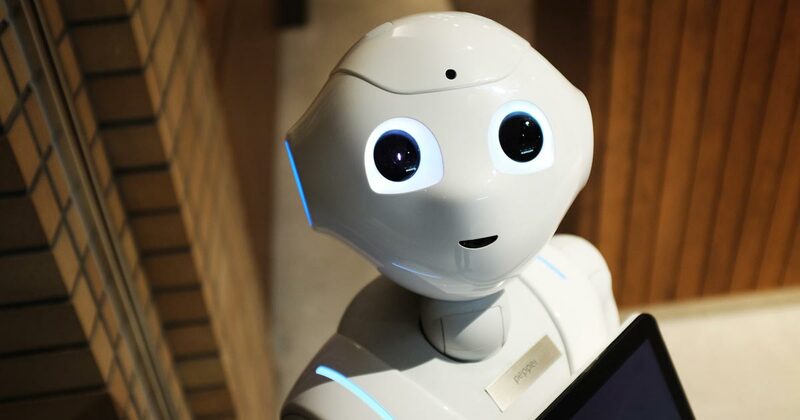 In 2018, in terms of hotel technology trends, we expect to see hotels invest more in Robotics and Artificial Intelligence. As people are increasingly becoming addicted to the internet, they expect all the services to be available online, so the hotels need to adopt the change and offer the express services to stay closers to their guests and on top of the competition. Due to the fact that hotel brands are starting to lose the market share to home-sharing accommodations like Airbnb, it has resulted in profit loss and slow growth. The market has become more crowded, and in order to improve the revenue streams, hotels are starting to cut the cost and invest more in technology. Recently, the report shows that international hotel brands such as Hilton and Marriott have been heavily investing in technological innovations that allow the hotel to explore new ways to increase the hotel revenue stream and customize guests’ experiences. The hotels are looking into ways to improve the effectiveness of its operation and make the stay of their guests an enchanting one. From this article, we will examine the success of the InterContinental Hotels Group (IHG) on the digital transformation with “Dash” butler robot and get to know more about the Marriott Virtual reality (VR) Program. InterContinental Hotels Group (IHG) plans to be more technology-driven and targets not only Millennials but the multi-generation of guests. They have been focusing on how to understand the guests better and they have found that the adaptation of new technologies is the key to success. In 2015, IHG begins to revolutionize hotel services, aiming to improve the experience of guests, and it announced the launch of a new delivery robot at the Crowne Plaza San Jose-Silicon Valley hotel. The robot butler ”Dash” got a warm reception from guests and it has launched the new wave of technological innovation in the hotel industry. By being offered the ability to talk to a robot at the hotel, the guests welcomed this new feeling. This service has also proven to be successful as customers have been pleased with it. Thus, the trend of using robots at hotels has risen. ”Dash” was originally designed by the Savioke company which is based in Santa Clara, California. They specialize in robot solutions for the hospitality industry. Under the friendly looking robot, there is sophisticated technology that is programmed to deliver top-quality service. The robot is approximately 3-feet tall with a weight of less than 50 kilograms. It can travel at a human walking pace and is able to walk between floors. It uses a special Wi-Fi connection. The robot calls the guests of a hotel to announce its arrival and to also deliver the requested items. After that, it will make its way back to the front desk where it can dock itself into its own charging station. Save money by investing more in technology! The staff turnover is one of the critical issues. Major chain hotels reportedly pay over billions of dollars each year to manage employees’ training and hiring. So, in the near future, we can imagine that technology will take over to fill in human jobs. Once the production price is down, low-skill workers can be replaced with robots. Adding robots to the hotel concept is a new strategy that a lot of hotels are now employing. In order to help the robot company lower the cost of operation, IHG plans to use technology to solve the high turnover issue. It is no secret that by adopting the technology, you will attract more customers. For example, Marriott launches the in-room virtual reality headsets program to enable guests to take virtual trips to exotic locations. Guests are invited to use Marriott’s mobile request app to request for a VR gear. The guest can use the VR glasses to view the surroundings as his or her head moves. This provides a deep sense of excitement and allows the guest to explore the world beyond the hotel room. In addition, Marriott also launched Marriott’s new virtual travel content platform — “VR Postcards”. VR Postcards are intimate and immersive travel stories that users experience and they can share the traveling experience with their friends and families at home. Is there a smart technology that small hotel can afford? Another concern among smaller hotels is being raised. 1) How can they keep up with the changes in the industry? 2) How to maintain personalization of the hotel guest’s experience? Small- and mid-sized hotels can now offer the Mobile Concierge — a new virtual lobby to their guests. This allows the guest to order additional services in advance, hence saving up to 20 minutes in the checking process by using the mobile app for express check-in. Usually, the hotel will buy this kind of service from a third-party. However, we think that the best innovation should come from inside a hotel. By starting with the employees, following the hotel technology trends and we can use new to automate some of their work. This new strategy definitely helps your hotels to save operation cost and time. There are a lot of things you can do with technology but not all hotels can become like Marriott, Hilton, and IHG. These two hotel chains can equip each hotel room with VR glasses and offer ”Dash” robot butler. However, we will like to see smaller hotels join the hotel technology trends by using the chatbot messaging, streaming in-room entertainment. These technologies could take the travel experience to the new levels and give new excitement to guests. We predict that in 2018, hotels will use the Robotics and Artificial Intelligence technologies to customize guests travel experiences.